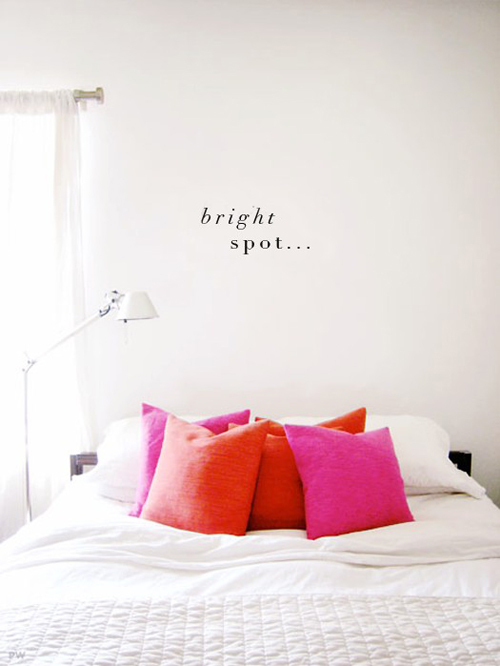 Today I’m loving … this white bedroom with vibrant colored pillows. Update: this beautiful room is Peggy’s bedroom. Something about this room just look very calming and fresh. Love it!